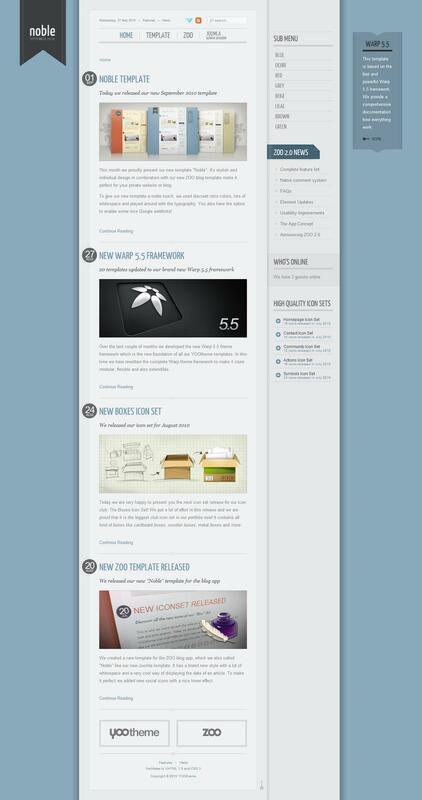 YT Noble - template for Joomla from YOOtheme. This template is ideally combined with component-directory ZOO 2.0. It is great choice for your new blog or news site. The template used soft "retro" color, typography, and a special ability to use Google fonts. As a policy framework template uses updated Warp5.5 Framework.